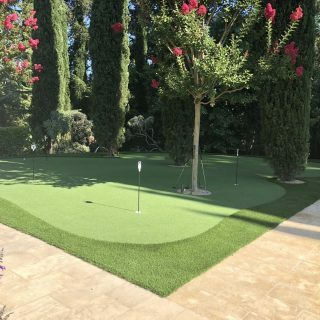 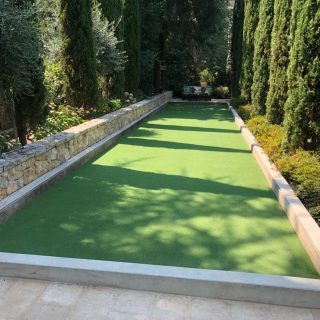 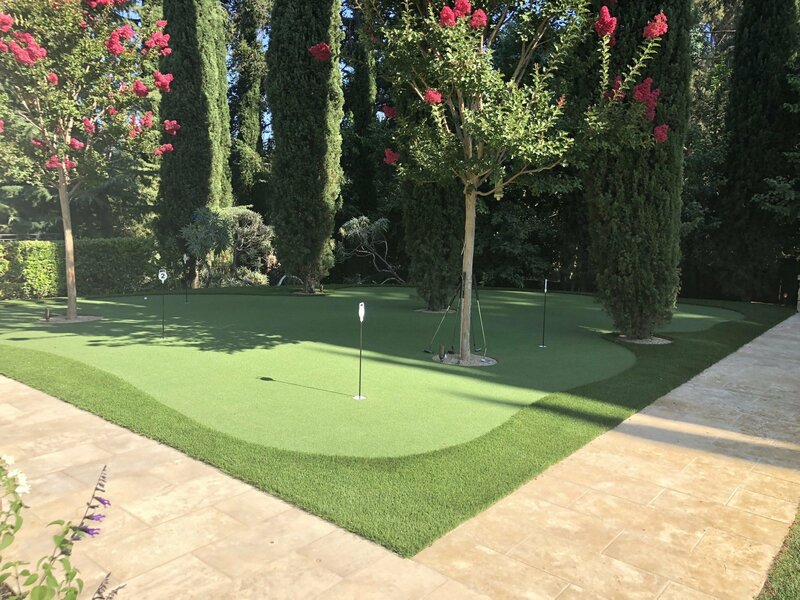 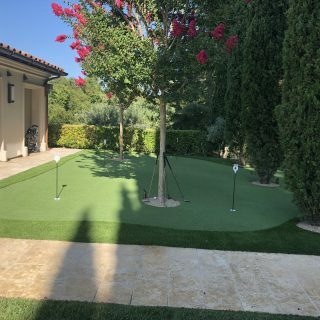 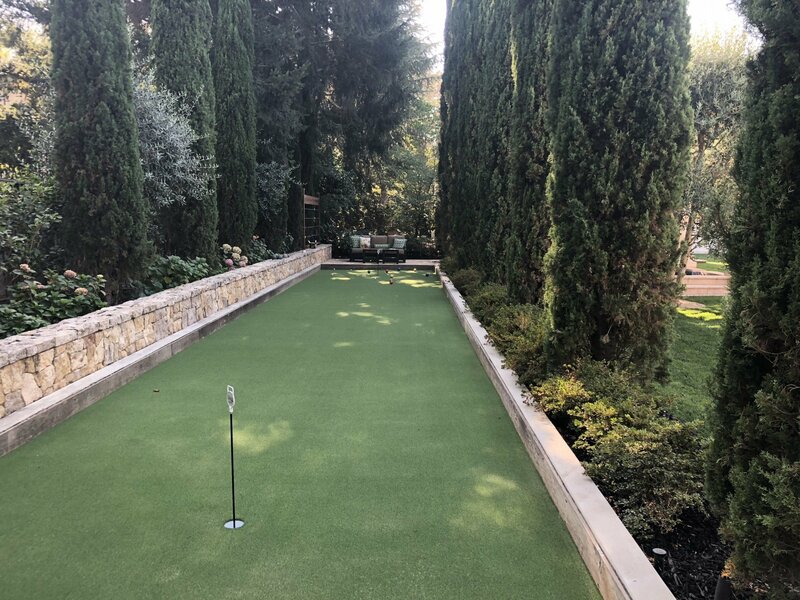 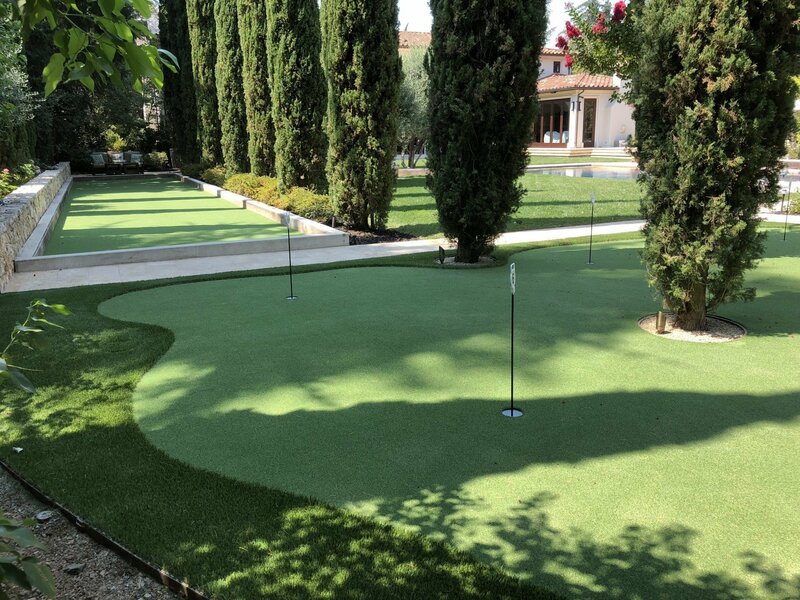 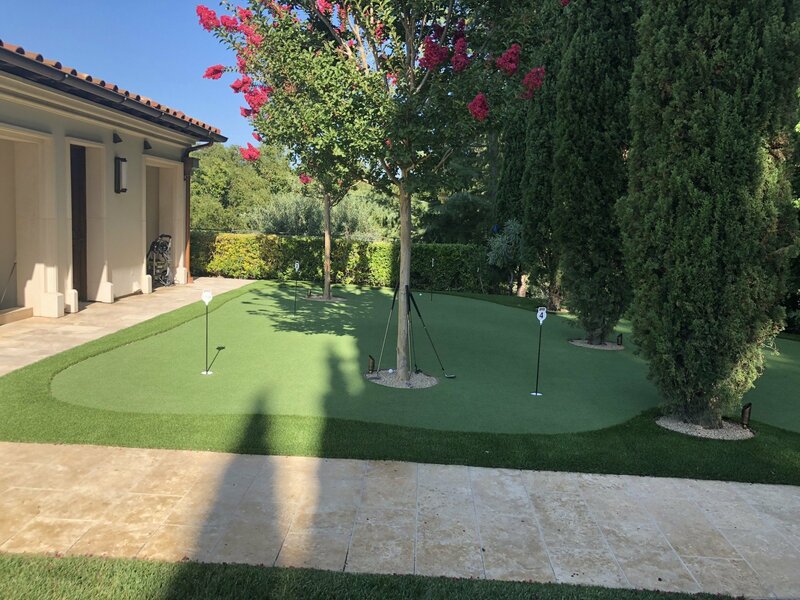 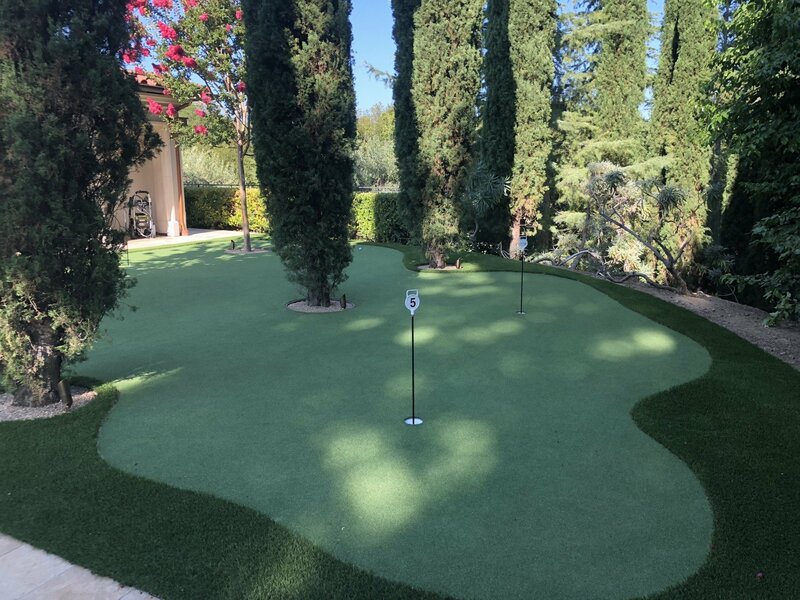 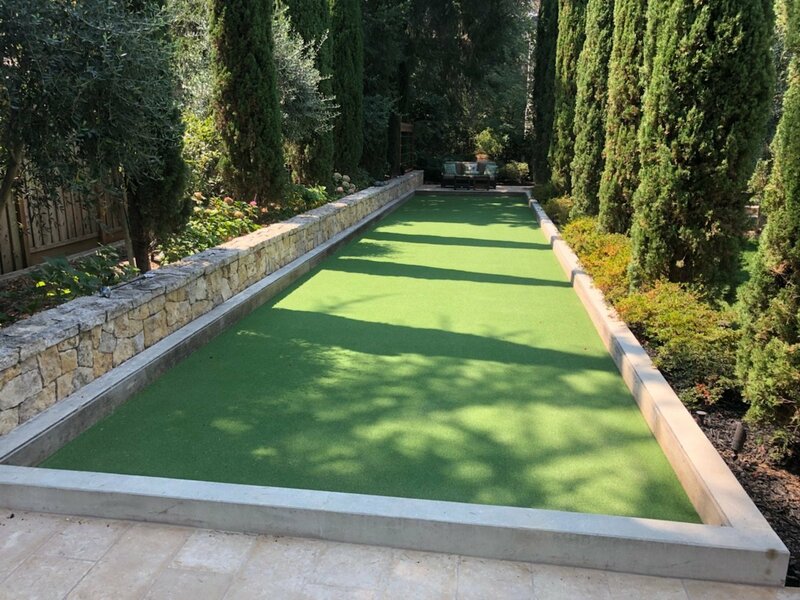 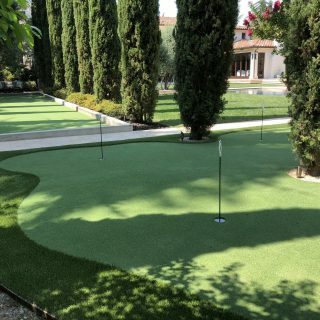 This hybrid bocce court was transformed from an oyster shell surface to beautiful Poly-Putt Bi-Color synthetic grass. 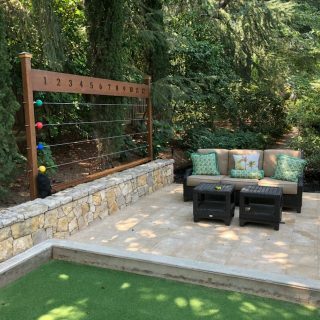 Not only did this court gain a new look, but now is multi-functional. 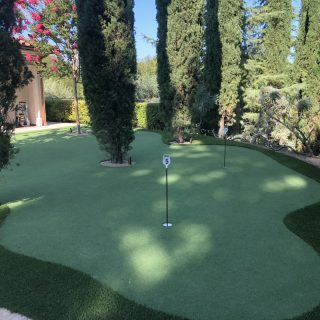 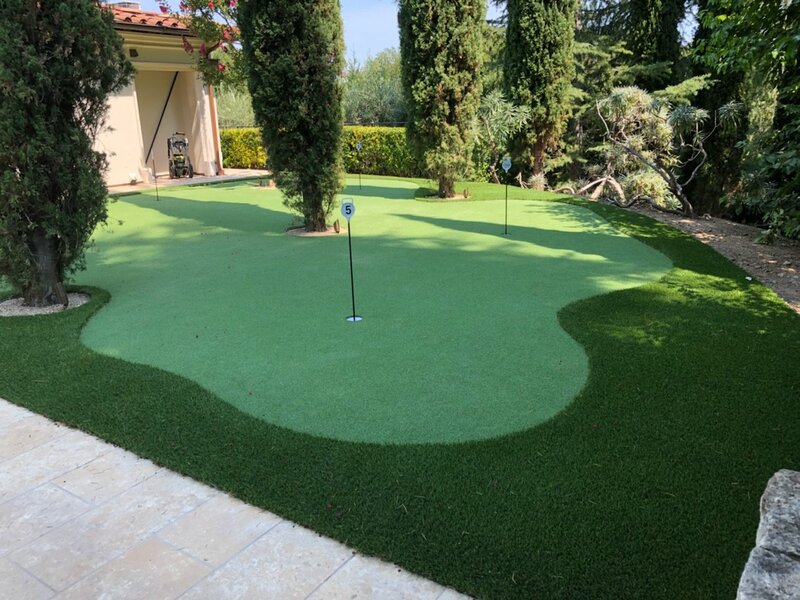 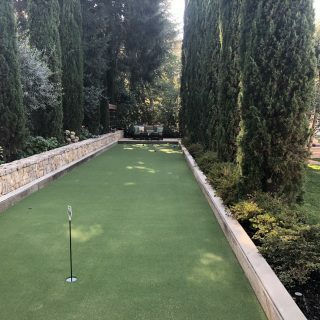 By adding 2 putting cups it can easily be transformed from a bocce court to a putting surface. 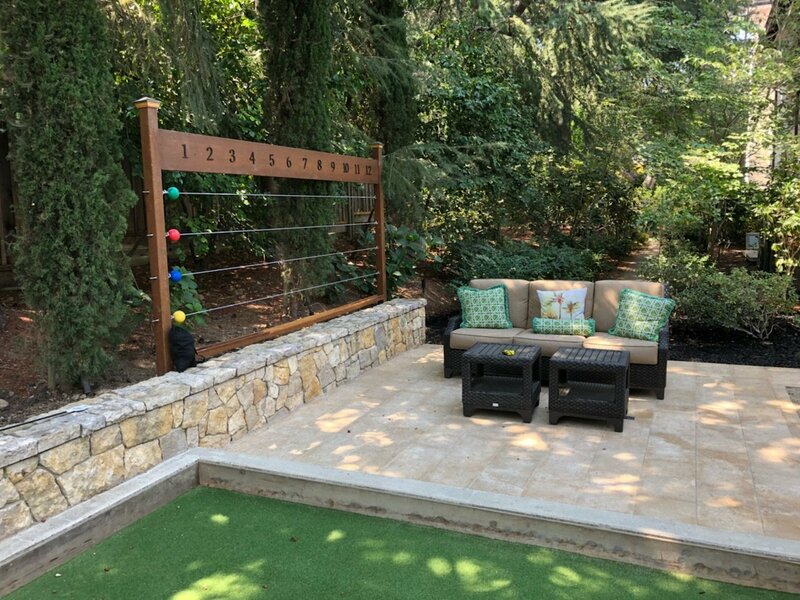 A well defined score board has also been added to an already inviting backyard. 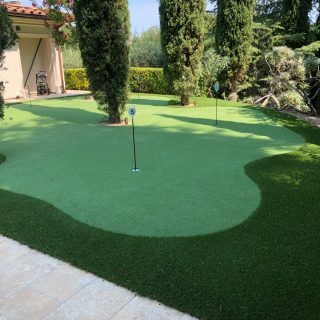 Please note products used are USA made.